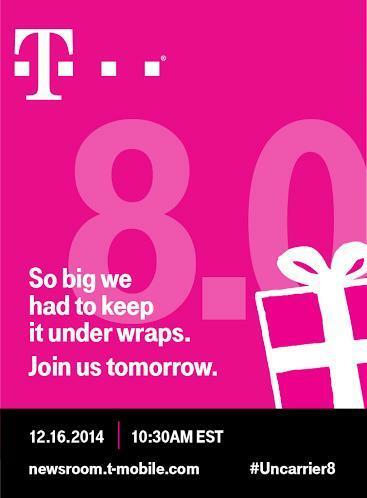 UnCarrier 8.0 Coming Tomorrow—What Will T-Mobile Announce Next? 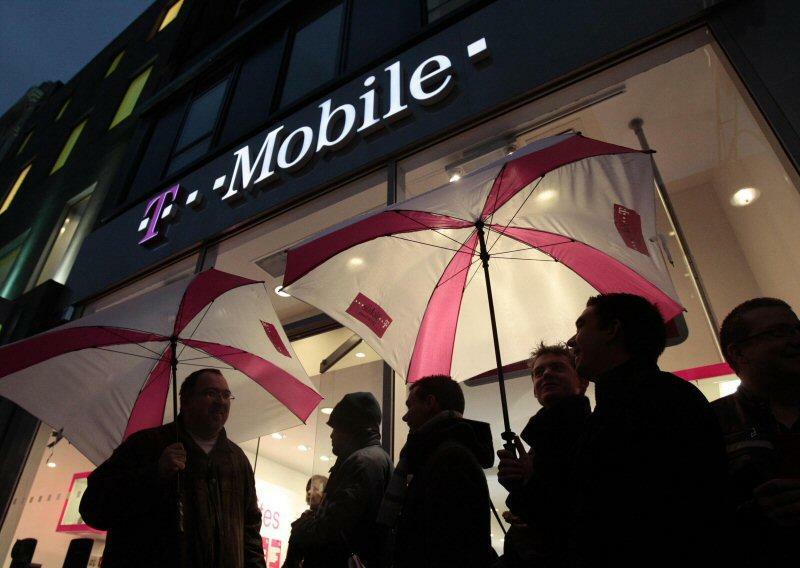 T-Mobile just revealed plans for another big UnCarrier announcement coming Tuesday morning. CEO John Legere will discuss the company’s plans during a live webcast at 10:30 a.m. Eastern tomorrow. There’s still no word on what UnCarrier 8.0 will entail. The company confirmed the rollout of its Wideband LTE network in New York City earlier today, so it’s possible Tuesday’s announcement could be related. Then again, T-Mobile’s caught us by surprise before, and it could easily happen again. Previous UnCarrier announcements have included Wi-Fi calling, free music streaming, iPhone test drives and more. Meanwhile, Sprint recently rolled out a new promotion claiming to slash customer’s data plan prices in half when they switch from AT&T and Verizon, so T-Mobile may respond with a similar offer. We’ll be covering the announcement live, so check back in with TechnoBuffalo tomorrow morning for all the UnCarrier 8.0 news.